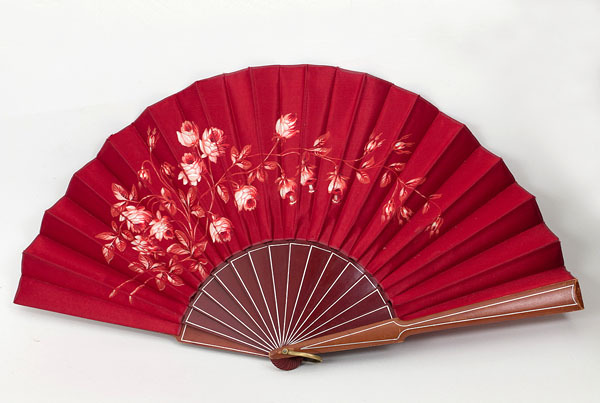 This colorful fan is a great fashion accessory. 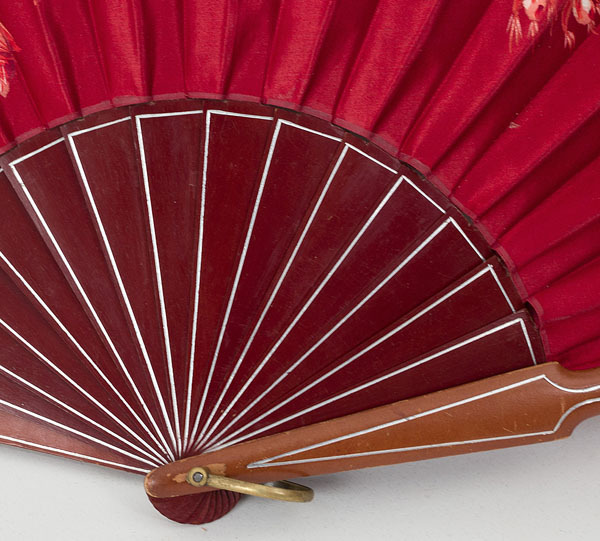 The two long outer sticks that show when the fan is closed are of leather covered wood. The remaining shorter sticks are of wood. 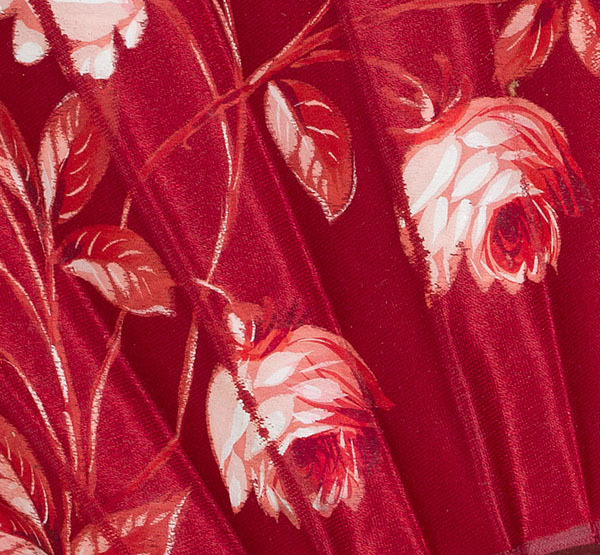 The leaf is fashioned from two layers of claret satin ribbon, causing the leaf to appear finished on both sides. It has hand-painted white roses executed with convincing verisimilitude. The condition is almost excellent. 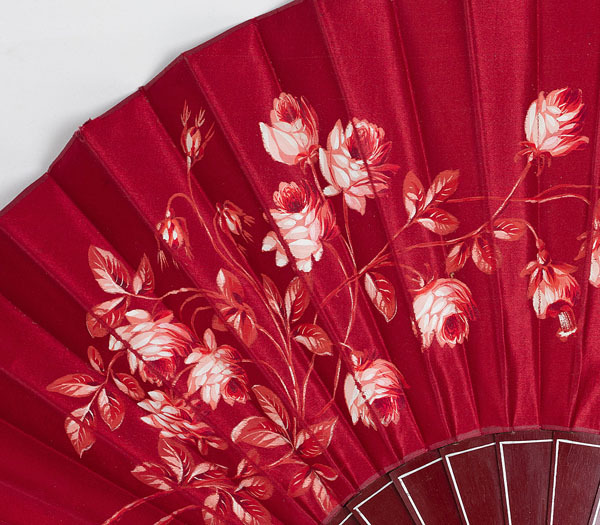 The fan just shows gentle use. The fan is 12 1/2" tall. It is 23" across when opened.